A Parker's original creation! 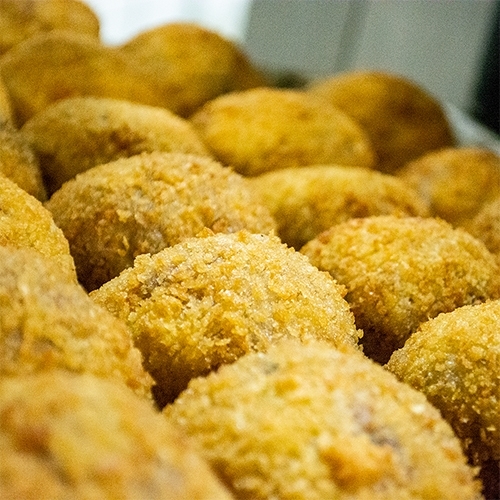 Sausage meat and breadcrumbs wrapped around delicious black pudding - Champion! Do Scotch Eggs look delicious to you, but not too fond of the egg part? Give our new creation a try! It's a big ball of our best black pudding wrapped in Parker's Classic Sausage meat and crunchy breadcrumbs, a perfect protein-packed snack for a long hike or road trip. Looking for a really different breakfast? Pop it in the oven to heat up and pour some baked beans over it!